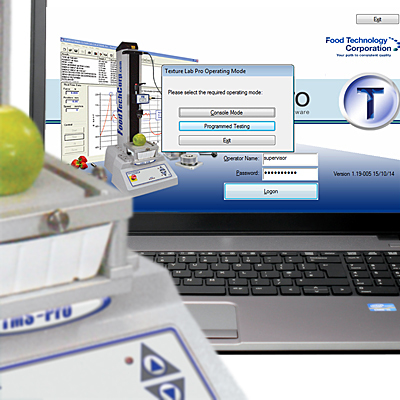 When used with the TMS-Pro load frame, the food scientist and researcher can now realize an unmatched level of precision, repeatability and ease of use. The TL-Pro software offers real-time graphic display so one can “see the test” as it is being run. A powerful instruction set support almost any test methodology you can think of. Cyclic test, Texture Profile Analysis (TPA), single stroke, etc. are all easily set up and executed. Test configurations are saved in a library for instant recall. With an unmatched loadcell data acquisition rate up to 16000 samples per second, high frequency data capture is no problem.